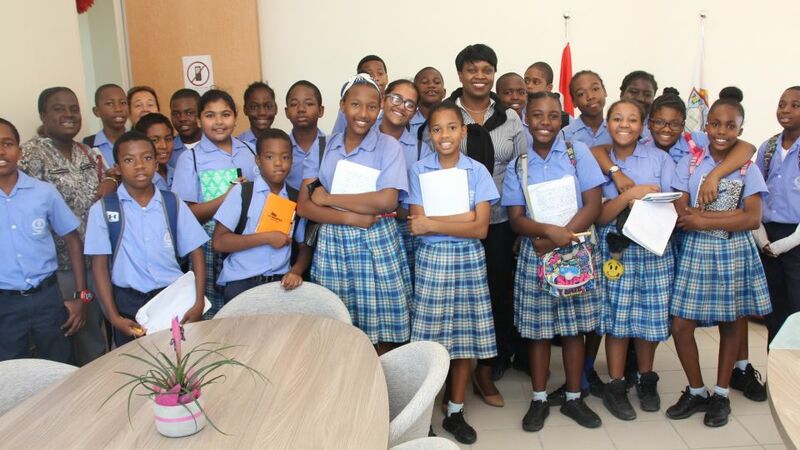 Photo caption – Prime Minister Leona Romeo Marlin at the center of the 6th Grade Students and Teachers of the Methodist Agogic Centre. 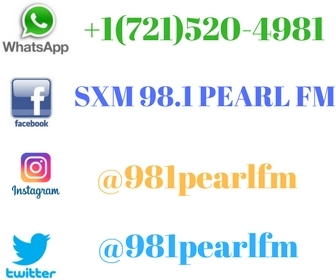 On Friday February 8th, while on tour at the Government Administration Building 6th Grade students and teachers of the Methodist Agogic Centre, John A. Gumbs Campus had the opportunity to spend a few minutes with Prime Minster Leona Romeo Marlin. During the visit, the 6th Grade students asked questions and interacted with Prime Minister Romeo Marlin who is an alumni of the school. The Prime Minister encouraged the students to stay focused on their studies and wished them much success in their upcoming FBE Exams.